PVC top cover popular in distribution/sorting centers. 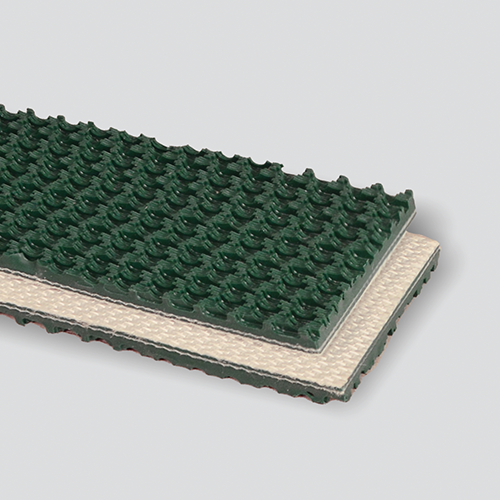 Unique sine wave cover is designed for low noise and allows the belt to run quieter on return idlers. Thickness / Overall Gauge: 0.209"